For me, the best scent I can possibly think of is the smell of something carb-y baking in the oven. Breads, rolls, cupcakes, cookies or anything that has a bread element is something I want to not only eat, but to sit there and breathe it in as well! Back to school time always brings out the baker in me. There is something about crisp weather and days at school that makes me want to fill the house up with desserts and all those yummy baking smells! A frequently requested item are fresh baked chocolate chip cookies, though funny enough my son only likes the dough and not the actual cookies! The cookie monster in my house is truly my love and fiancé, who would eat cookies morning, noon and night if health was not concern! 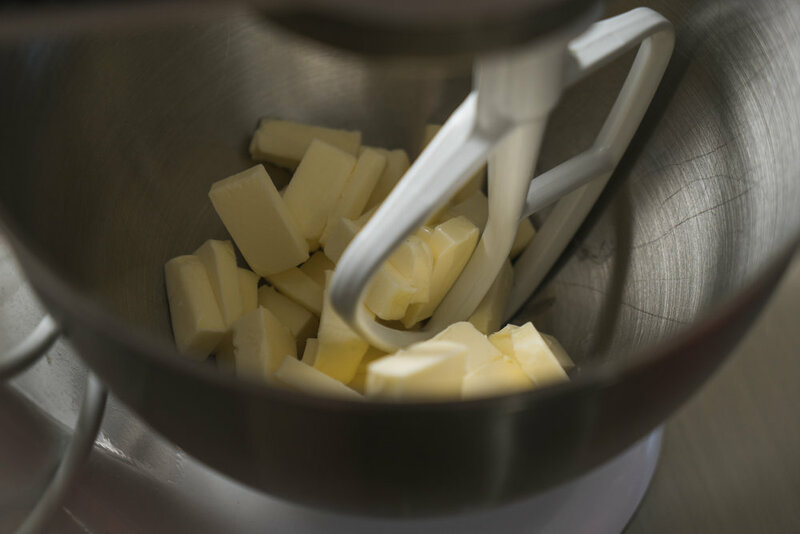 In a medium bowl or mixer with a paddle attachment, place butter in and mix until butter is soft and mixed. 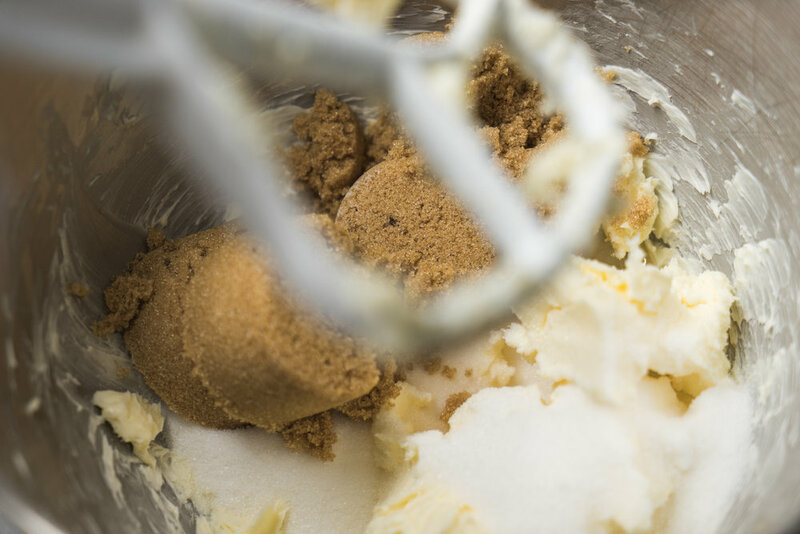 Add sugar and brown sugar and mix for 2-4 minutes or until sugars are fully combined and mixture is slightly fluffy. Be sure to scrape the bowl frequently to ensure all butter and sugars are incorporated fully. Add the first egg and mix well until egg is fully combined and repeat with the second egg. Add baking soda, salt and 1 cup of flour. Mix until all ingredients are combined well then add remaining 1 1/3 cup of flour. Mix well, scraping down sides until batter is thoroughly mixed, 2-3 minutes. 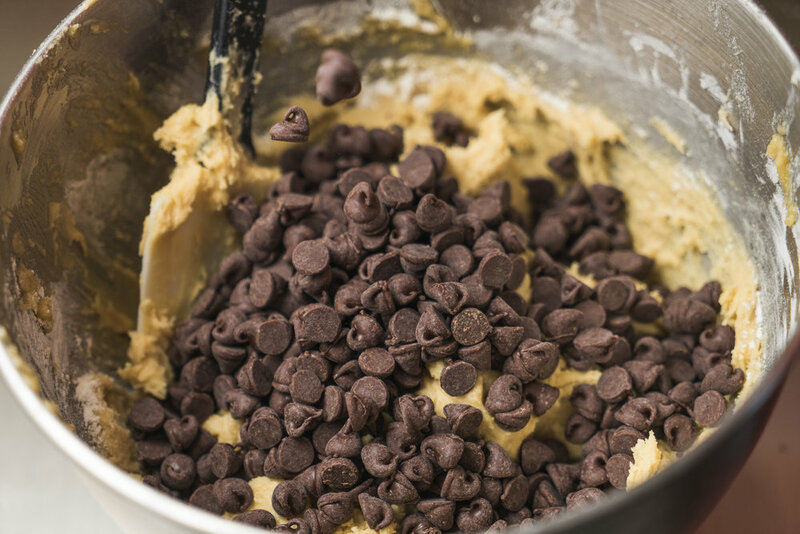 Remove bowl from mixer, add chocolate chips and manually mix the chips in until just combined. Using a spoon or your hand, make dough balls (mine are about 1 inch) and place on a greased or parchment covered cookie sheet. Once cookie sheet is full, bake cookies for 6 minutes and rotate the cookie sheet 180 degrees. Bake cookies for an additional 6 minutes or until golden. 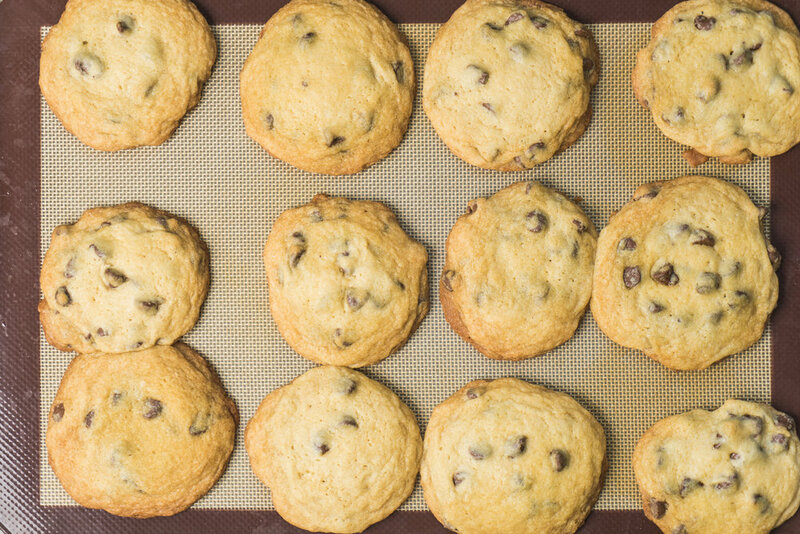 Let cookies rest on the baking sheet for 2-3 minutes before removing to a wire rack to cool. Repeat baking steps with remaining dough. 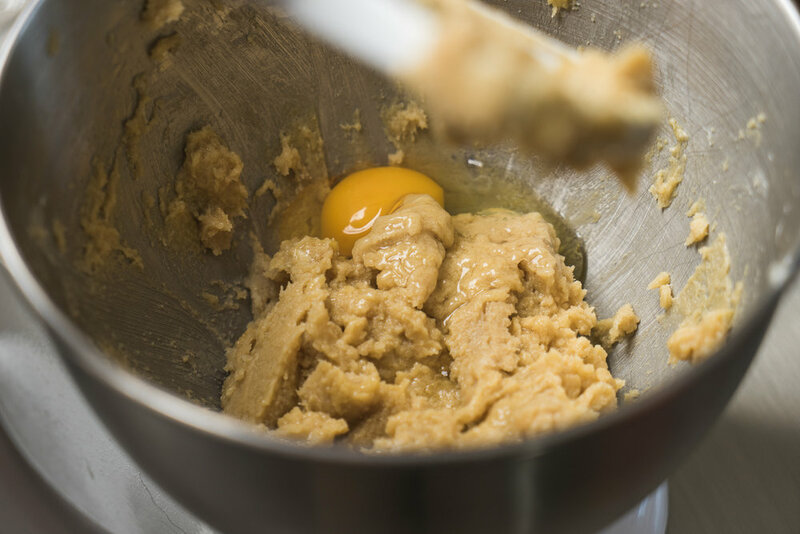 Working with cookie dough can be tough as it tends to stick to your hands or the spoon. I use a mist of Pam (non-stick cooking spray) on my hands or spoon every 3-4 scoops to ensure the dough does not stick! In this recipe I highly recommend that you do not substitute stick margarine for the butter. It will alter the flavor of the cookies and result in a drier and harder cookie. Wait at least 15 minutes to enjoy a cookie so they may cool and firm up a bit. I know it will be hard but you can do it!